Richard Mille Felipe Massa Limited Edition 300 pieces. 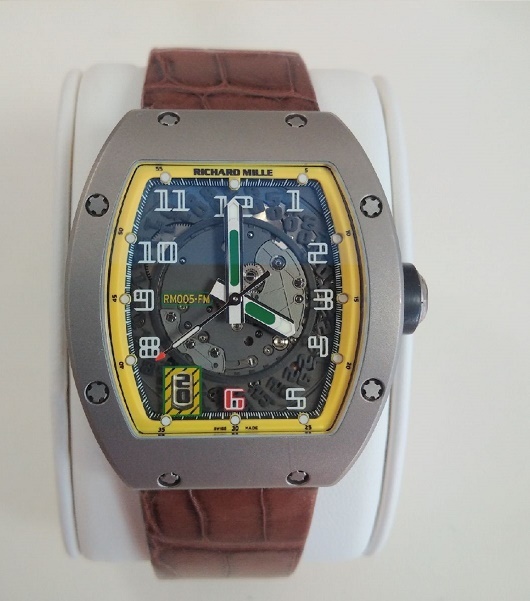 Pre owned in LIKE NEW CONDITION, with original Richard Mille box & warranty papers. 45mm x 37.8mm high grade Titanium case, Skeleton dial, and automatic movement with date at the 7 hour marker. It features a sapphire glass exhibition case back, and is available on a sporty brown crocodile leather strap with titanium buckle.